These two skirts are my favourite for summer. 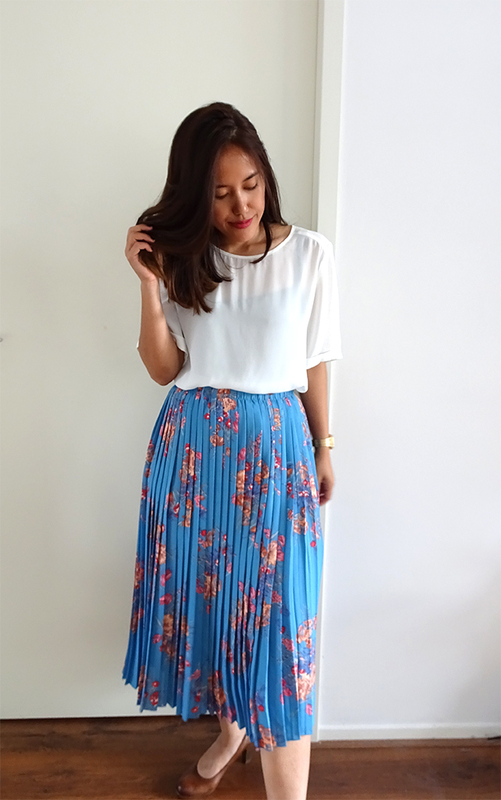 The ZARA plissé midi skirt is my ultimate summer skirt during hot season. The light blue colour is perfect and especially the pattern gives summer feeling. 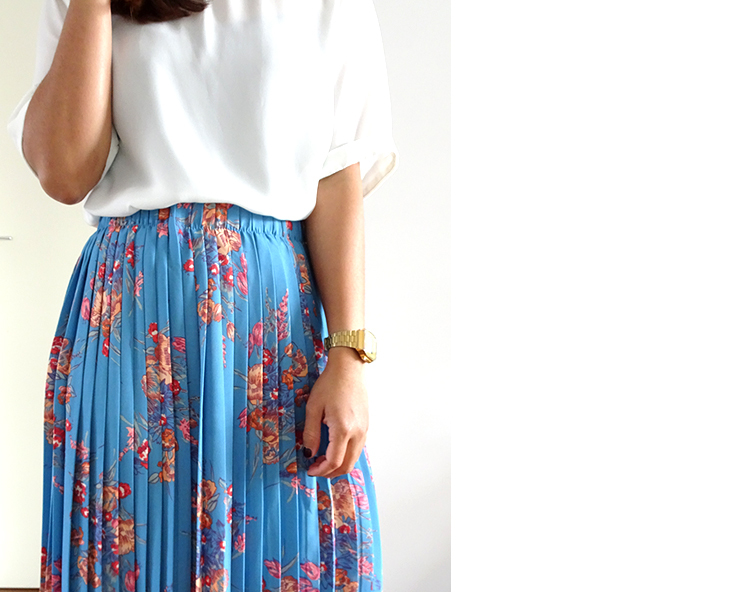 With this kind of skirt, you can combine it with blouse, t-shirt, and even tank-top. 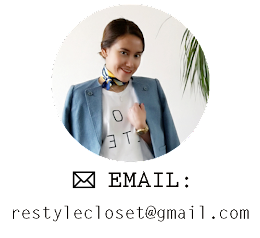 My favourite is to combine it with white blouse or t-shirt. 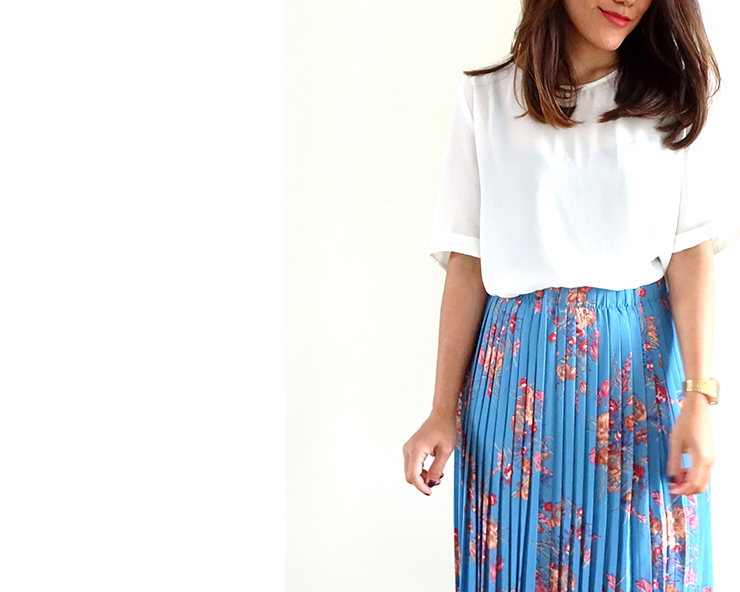 The other essential skirt for summer is A-line skirt. This one is from RESERVED and I found it when I was in Warsaw. Every time I travel to other country, I always try to find the original brand from that country. So when I was in Warsaw, I went to this store (they are originally from Warsaw) and I love their collections! I immediately in love with this skirt when I saw it for the first time. The dark blue colour is very attractive and the model is super cute. I can wear this skirt during cold seasons too because the material is quite thick by adding a legging. 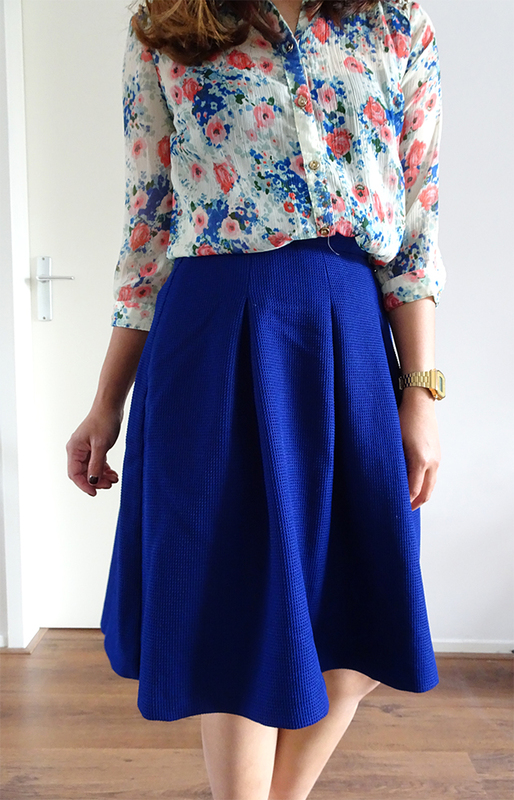 Btw, I got a lot of comments that this skirt is supposed to wear in a winter season, but hey why not for summer? It's short, airy, and gives summer look too. 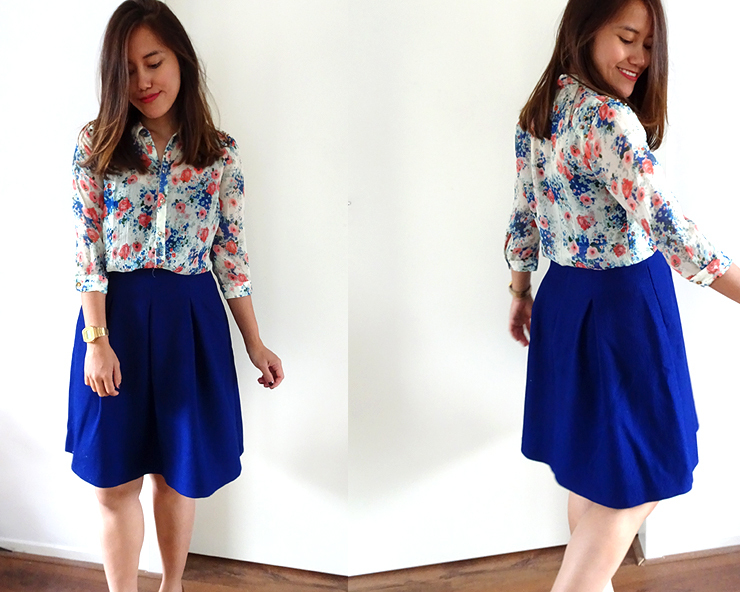 This time I combined it with flowery blouse from ONLY. What is your favourite skirt during summer?